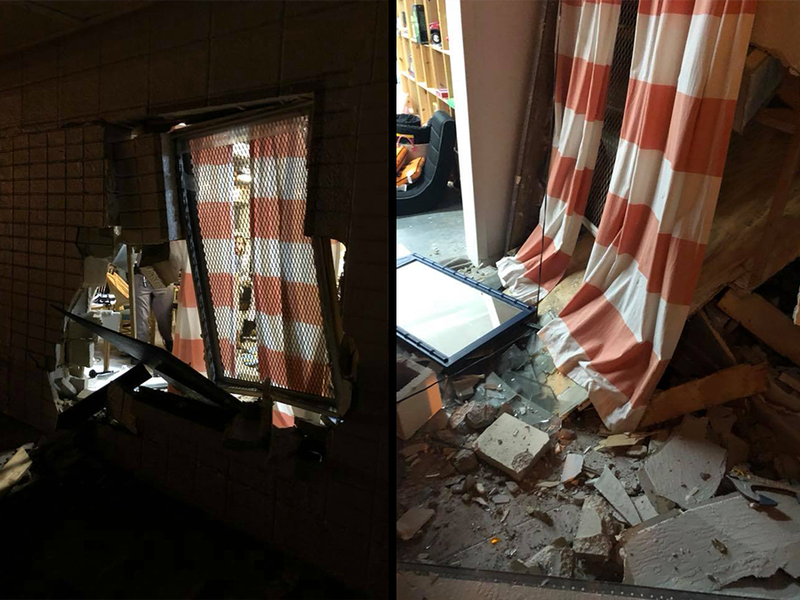 SEMINOLE, Fla. — A business in Pinellas County is left cleaning up a big mess after a vehicle allegedly crashed into the front wall of the building before taking off. Second Time Around, a thrift store located at 6010 Seminole Boulevard in Seminole, posted photos of the aftermath on Facebook following the incident. According to the post , sometime between 7:30 p.m. and 7:45 p.m. on Wednesday, an older model silver Dodge Ram, with a loud muffler, crashed into the front of the building and drove off before law enforcement arrived. The post went on to say that the truck should have frontal damage including broken headlights. Law enforcement was called to the scene to investigate. The owner of the store is asking anyone who may see a truck in the area that has damage similar to the description to contact law enforcement. "At least we weren't open and nobody got hurt," said clerk Lorrie Jablon.